John Smith is the company's Chairman, having been Chief Executive up to his retirement in 1998. Having served in the group all his working life, John is the link between the founders of the company, and the current generation of the family now managing the business. Simon Smith is the Joint Managing Director of the company with responsibilities for Production, Estates, Farming and Health & Safety. Andrew Smith is Joint Managing Director of the company with responsibilities for Finance, Sales, Haulage, Construction and Fishing. Andrew joined the company in 1989, with an accountancy background, taking up his current position on his uncle's retirement. Alfie Saunders is the company's Sales Manager, responsible for the sales of the company's products, and distribution by the company's haulage fleet. Alfie has worked in the industry, in various roles, since leaving school. 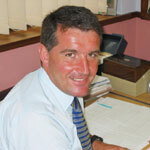 Martin Layer is the Group's Planning & Estates Manager. A chartered geologist, with long experience in quarry development, Martin brings expertise to the crucial area of mineral planning and land management. 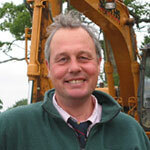 Martin Walker is the Manager responsible for the group's Construction division and Plant Hire fleet. 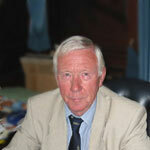 A surveyor by training, Martin has long experience at Smiths and elsewhere, in contracting and civil engineering. 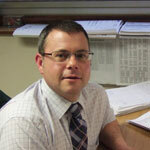 Paul Needle is the Transport Manager, with operational responsibility for the Company's Haulage Fleet. With experience in both managing and driving commercial vehicles, allied to the training and qualifications required to deal with modern transport regulations, Paul is ideally placed to deal with this most visible part of our operations. 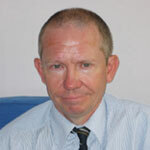 Paul Hillier is the group's Health & Safety Officer and Personnel Manager. With long service in the industry generally, Paul brings extensive experience to this vital role.